Earthway Professional Tow Broadcast Spreader (2050TP) is a great choice for use with full size garden tractors. The hopper is rustproof, can hold up to 80 lb/36 kg of granular material, and has a 3-Hole Drop Shut-Off System. 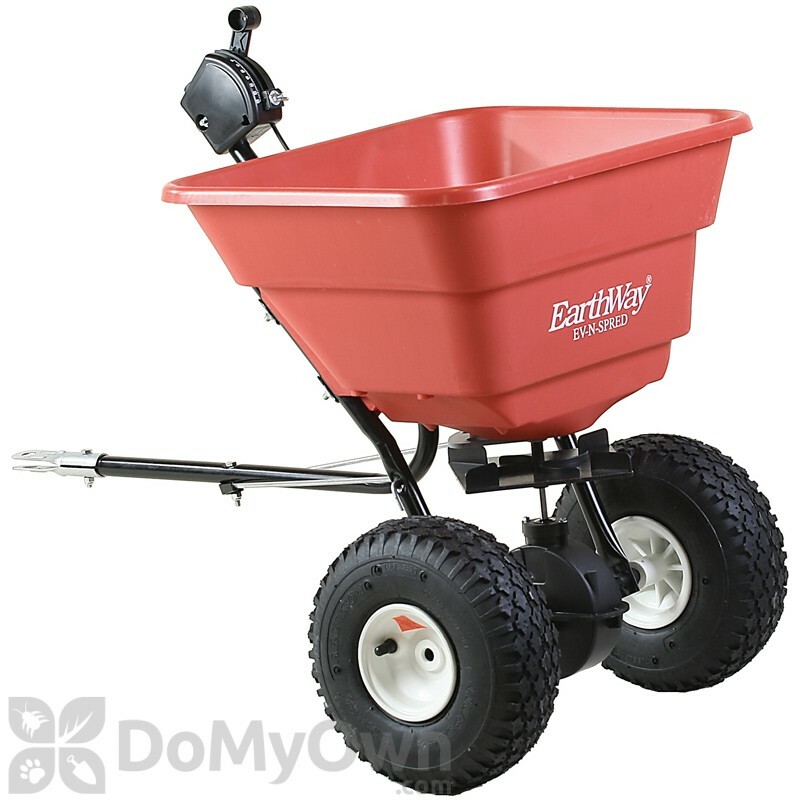 The Earthway Professional Tow Broadcast Spreader (2050TP) comes equipped with large,10 inch pneumatic tires that will provide smooth and even distribution. This product comes semi assembled, which will be easily usable in minutes. This spreader is a great choice for professional results on a easy budget. Refer to the attached manual and setting matrix for more information. Is there a bolt to connect the Earthway Professional Tow Broadcast Spreader to my lawn tractor hitch? Do I need to buy a separate bolt to attach this to my John Deere lawnmower? The Earthway Professional Tow Broadcast Spreader does not come with a bolt. Are the gears under the Earthway Tow Broadcast Spreader 2050TP metal or plastic? The gears under the Earthway Two Broadcast Spreader 2050TP are plastic.